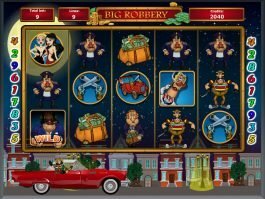 Novomatic has become successful in blending fun with simplicity by developing free Xtra Hot slot machine. 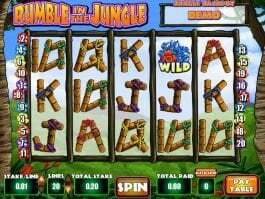 The game features 5 reels where you would get an opportunity of witnessing some of your favourite fruits. You can set your bet by using 5 paylines. The game offers bonus rounds that let you win grand prizes! Xtra Hot slot game adorns in a colourful wrap. The blend of electric pink and purple in the background offers you a classy feel. The reels are loaded with exotic symbols and different fruits that make the session enticing. When you enter the game, you are provided with a chance for setting your stakes. 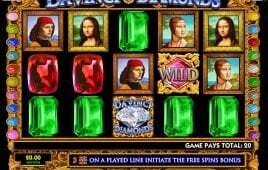 Your preference is automatically transferred to the online slot machine. You can change the number of paylines or make changes in your stakes by pressing (+) or (-) button. Hit the ‘start’ button to enjoy the action. 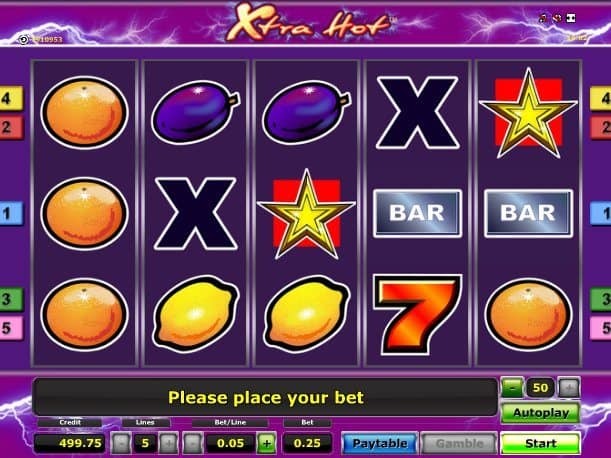 The usual classic slot symbols in this free slot game are 7s, cherries, lemons, bars and oranges. The yellow star performs the role of the scatter symbol. 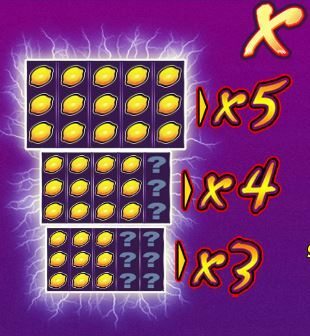 You have to match three yellow stars for receiving a payout. 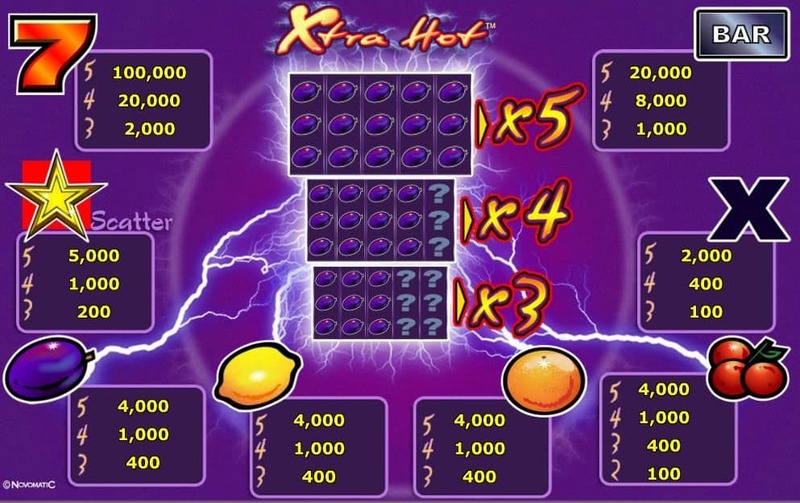 The bonus feature of Xtra Hot gets activated when you match stacked symbols on reels. 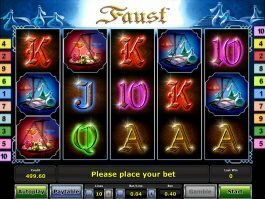 When you hit 9 such symbols on first 3 reels, you win a payout, which is three times more. Hitting 12 similar symbols on first 4 reels would raise your winnings by 4 folds. 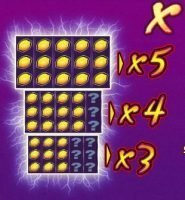 What about hitting 15 symbols on 5 reels to win 5 times more? When you have formed a winning combination, the ‘gamble’ icon appears on the screen. Click it and double your winnings. 500.000 coins is definitely a huge prize. 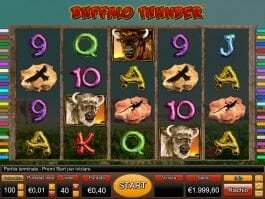 It means there is a chance of scooping mammoth 100,000 on every spin for the players using the maximum line. 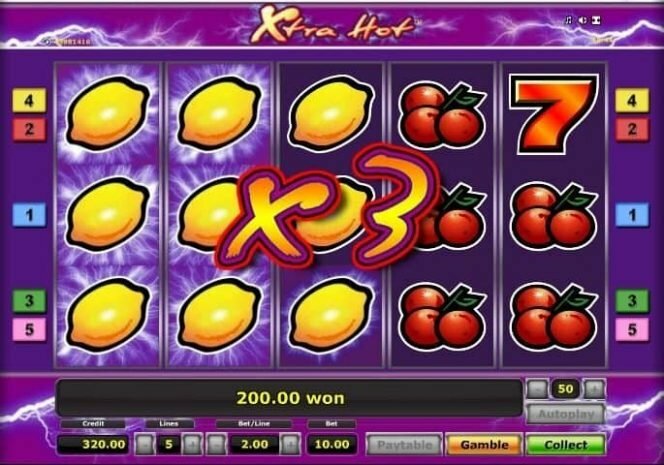 Xtra Hot slot offers a wide betting range where you can place a minimum bet with 0.25 coins (0.05 multiplied by 5 lines). 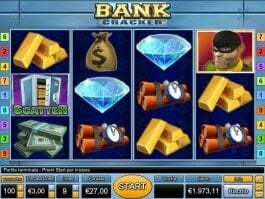 The maximum bet is 100 coins (20 coins per line). 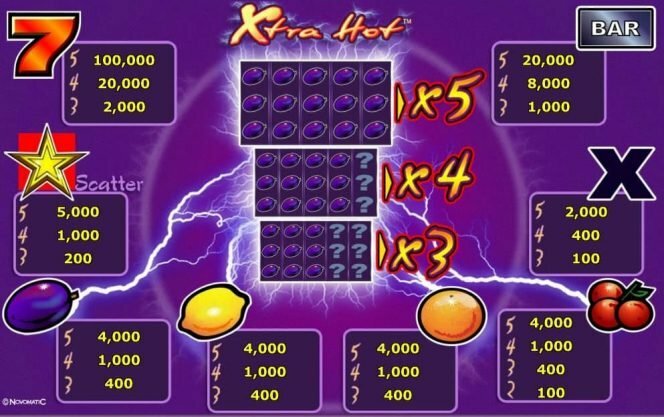 Xtra Hot features medium to high variance. Make money by hitting long combinations. 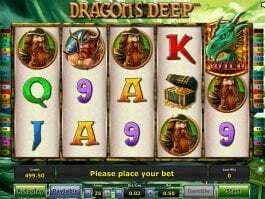 Other similar free slots are Lord of the Ocean, Sizzling Hot Deluxe, Power Stars, Spinning Stars etc.